As I see no search option in the forum, I am sorry I am asking a question that I am sure has been answered several (if not more) times already. Please help as I am EXTREMELY frustrated by the complete lack of phone support by Corel/Roxio. BTW - I have 2 internal and 1 external drives attached. Do the drives show in My Computer? If so follow below, if not post that. Follow post #6 to the 'T' don't add anything and don't skip anything. I found your post under the Creator 10 forum and just followed it, exactly. It ran, I restarted, but the issue still exists. I see you have been very thorough with others in the past, and I appreciate your efforts. Can you suggest any next steps? A little more info- I had Creator Pro 2010 installed and had tried your solution. When it didn't work, I purchased NXT 2 Pro (for its Win8 compatibility). I did the uninstall of 2010 before installing NXT 2. Do the drives show in My Computer? A tad more info, not sure if it's relevant, I installed the program on my D (secondary) drive, not C.
Not seeing how to attach another photo here, but there are 2 new "icons" (really objects) on my desktop showing the Audio CD (drive E) and blank CD (drive F) asking me what I want to do. OK, just re-opened the NXT 2 Pro and the drives are now populated. I didn't do a thing (except wait and type out these messages- oh, and create an avatar for the forum) since I last tried. Hmm. Thank you for the help, again. Any chance you could explain to me what ws in that patch, and why I needed it (and possibly why it isn't included in the s/w)? Did you reboot the PC after following "Follow post #6 to the 'T' don't add anything and don't skip anything" ??? Of course! It was in the directions! Many here don't follow directions, it's nice to see a user that does follow directions. Could be try RDP again and see? I remember, back in the old days, you need to run a micro-program from within Roxio just to discover the attached drives before you could even use the product. I probably even have those early versions stored in a box in the garage somewhere. 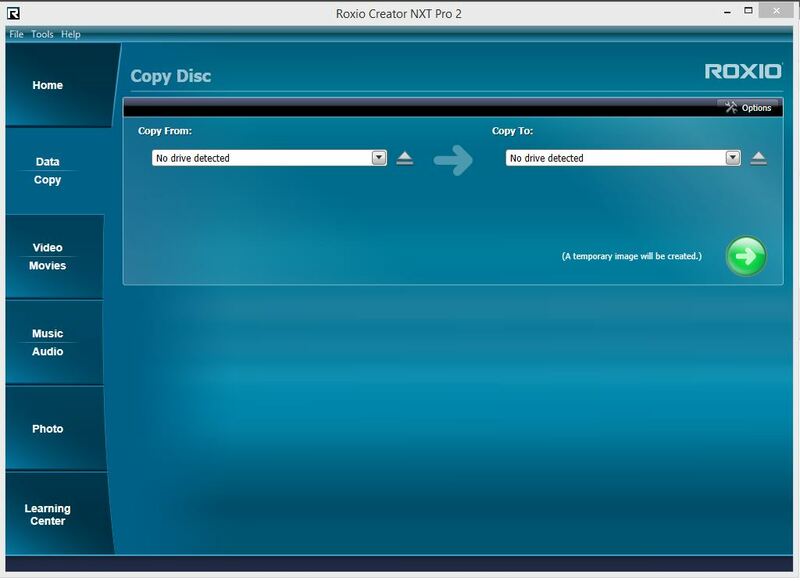 MS uses entries in a registry key to enable Windows to see your drives, and Roxio installs its own filter in the same registry key so the Roxio programs can also see the drives. The filter [the PX engine] is installed by the Roxio software, but it sometimes gets knocked out of kilter for odd and mostly unexplained reasons. When that happens the Roxio programs can't see the drives any more. Then, reinstalling the PX engine according to Cdanteek's nicely detailed instructions is needed to fix the situation. Brendon- Thank you for the information.